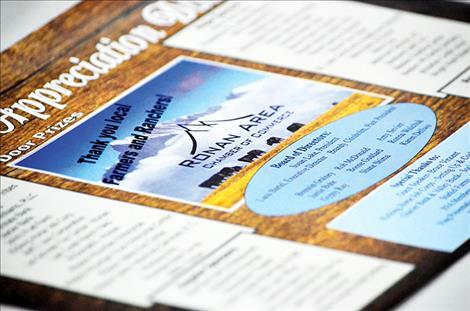 Farmers and ranchers enjoy an appreciation dinner put on by the Ronan Chamber of Commerce. 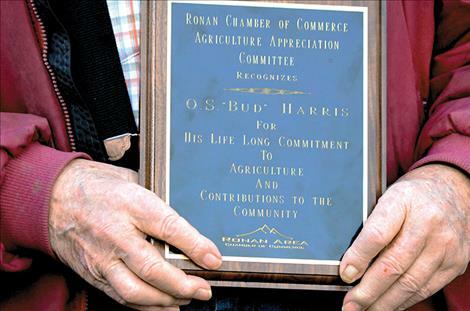 Bud Harris shares his Ronan Chamber of Commerce Agriculture Appreciation award with his family. 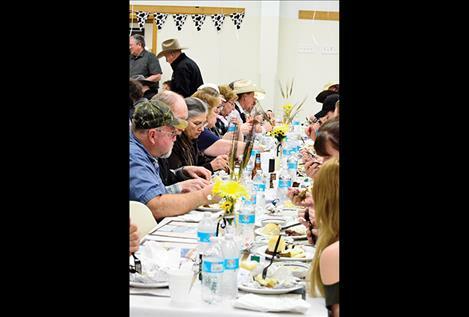 RONAN – At least 300 plates were filled with a free steak and potato dinner during the 38th annual Ronan Chamber of Commerce Agriculture Appreciation Banquet on Friday. 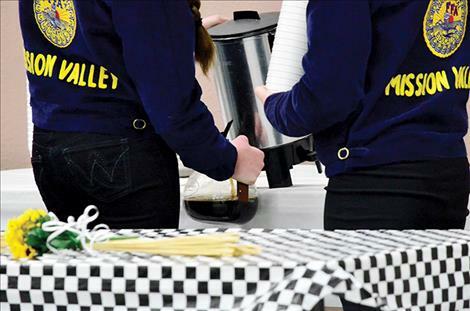 “This is something the chamber enjoys doing for the entire Mission Valley,” said MSU Extension Agent Jack Stivers. The beef for the dinner was from White’s Meats. “It’s all local,” Stivers said. And the potatoes came from Roger Starkel’s farm. 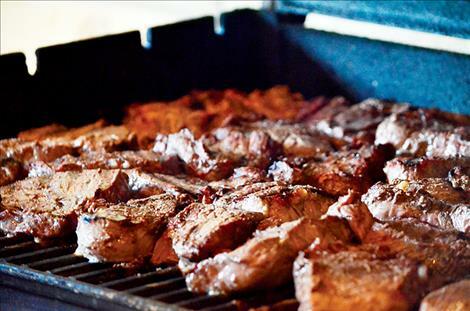 Volunteers spent a few hours grilling up the steaks over six barbeque grills in a barn behind the Ronan Community Center. The Mission Valley Chapter of the Future Farmers of America scrubbed the potatoes clean, and the students at Kicking Horse Job Corps baked the spuds. 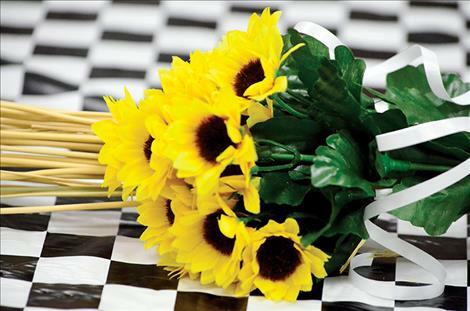 “A notable fact, Bud will be 90 years old this November, so there is a lot to tell about him,” Lake said. 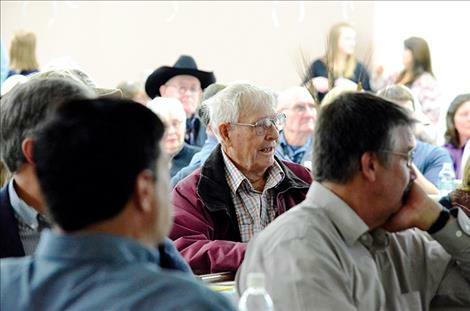 Bud is a third generation Montana rancher. His father, Herb Harris, arrived in Montana behind a team of oxen, and homesteaded in Camas Prairie in 1911 when Bud was six months old, Lake explained. 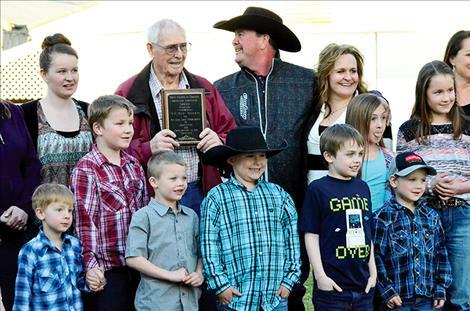 Bud started a cattle heard when he was 8 years old with two cows from his father. He graduated from high school where he was involved in rodeo. In 1952, he married his wife, Mary. They raised four kids. He eventually settled with his family in Ronan. 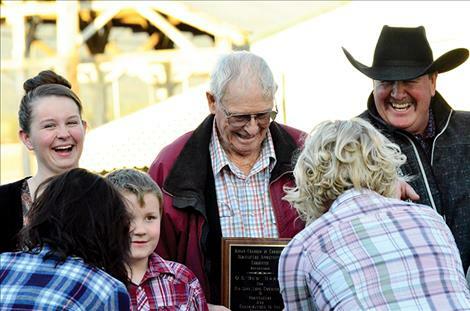 “Bud has always been forward thinking in the cattle industry and also raised some great horses,” Lake said. His community involvement included serving as the chairman of the Ronan School Board. “As a matter of fact, he was the first chairman of the district,” she said. And he worked hard to develop educational programs for students with special needs in the 1960s, including his son Mark, at a time when there were few resources. 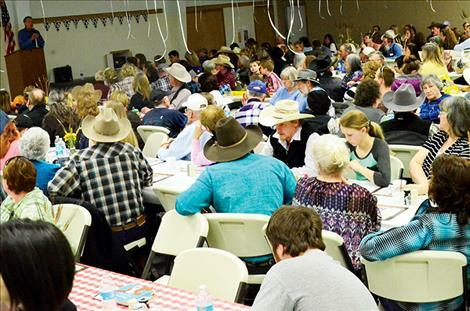 The two ranchers began the long process of convincing the communities to pass a levy to fund a special needs class. 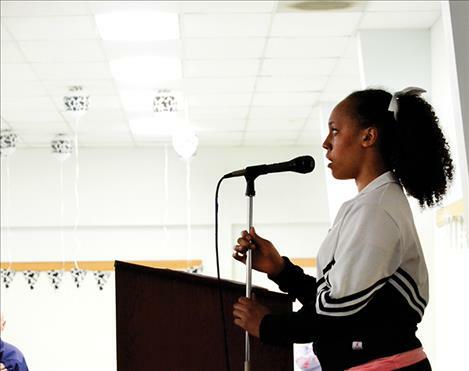 They talked to school boards, saddle clubs, parents, teachers, veterans organizations and anyone else that would listen, including state representatives to get more state funding. 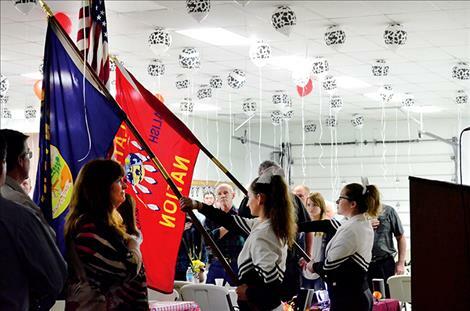 “This proved to be highly successful because the state passed a measure assuring adequate funding for future classes,” Lake said, noting that the first class was held in Charlo. Bud accepted the appreciation award with a smile. He went outside and took pictures with his family, now five generations deep, while he held the plaque engraved with this name.